Can You Believe These Flowers? RUSH: Folks, I have tell you, I was just in our kitchenette here, which actually is not a kitchenette. It’s actually a pretty big kitchen, dining room complex. Anyway, in there, and there is this most beautiful bouquet in a vase of pink and white roses. And it’s from 1-800-FLOWERS. I mean, it’s so beautiful, I stopped and noticed it. And there’s a card, they had sent it to me, and nobody told me! You know, I don’t know if it’s like this for you. I get so much mail. Nobody gives it to me. I have so much stuff. Nobody sends it to me. We have staff that open it and go through it. Most of it’s spam-like. But I don’t know when these came in. How long have they been there? Just tell me how long. (interruption) Two days. They’re gorgeous. They look like they’re full bloom or whatever, but I had to mention this, ’cause they are so gorgeous. I stopped and stared at ’em. 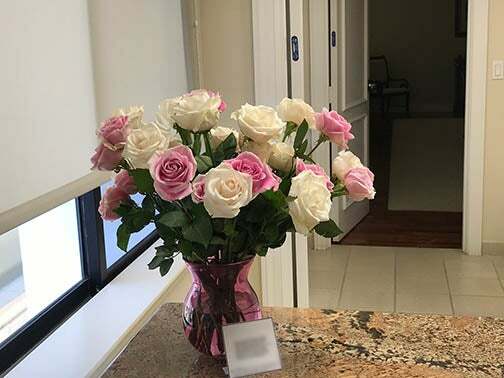 They’re pink and white roses, some baby’s-breath in there, and then the vase. And they sent ’em to me, and I’m sure they sent it for their Mother’s Day promotion. So somebody here got them. Somebody accepted delivery. You…? (interruption) Mr. Snerdley took the delivery. And you put it in the kitchen thinking I’d… (interruption) Marcia sent it up.” The chef set it up in the kitchen. They are. Well, it’s just a damn good thing I saw ’em. I’ll just say that. (interruption) Okay. That was the intent, that I would see them in the kitchen? Right. Well, why don’t you put all my mail in the kitchen, then? If I’m gonna see the flowers in the kitchen, why isn’t the rest of my mail in there? (interruption) I know. These didn’t come in the mail.